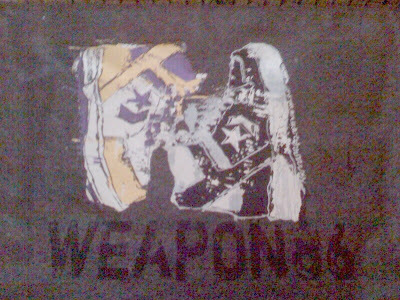 The Converse Blog: 'S Weapon Wednesday: Weapon 86 Box-o-awesome. 'S Weapon Wednesday: Weapon 86 Box-o-awesome. For the brief time that I watched the NBA while Magic Johnson and Larry Bird were playing, I was always a Larry Bird fan. That's not to say that I didn't like Magic Johnson, who knows maybe it was the extra year that Larry played. Despite my preference in players though, I had a stronger preference in which Weapon colorway I loved. I am not sure why I loved the Purple and Gold Weapons, I just know that I did. Part of the reason could be that my father never liked black shoes, therefore I never got black shoes growing up. 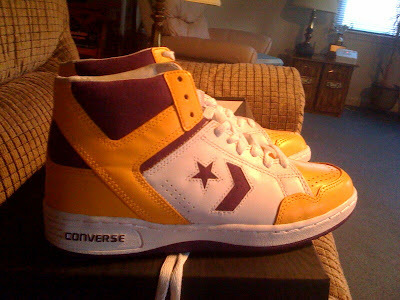 Anyway, every time a new batch of the Weapons have been released, I've always gone after Magic's colorway. 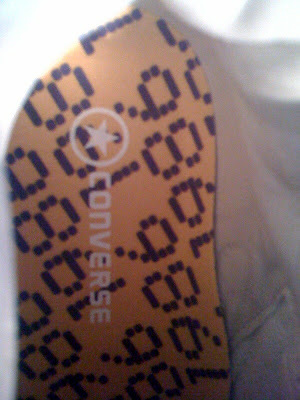 So you can imagine the thrill I got when a fresh box from Converse showed up on Monday. I was really trying to get a shot that showed you how clean the purple suede is, but no matter how many pictures I take they just won't do them justice. You really have to hold these in your hands to see how amazing they are. I was going to get out my pair from the last time they released to show you the differences but I couldn't find them on a quick search. 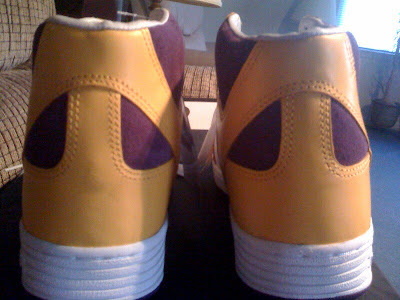 However, I will tell you that these are closer to the original 1986 release and they feel amazing on your feet. As if that wasn't enough the box also came with a fantastic t-shirt and wind breaker. I had to alter the picture a little bit so you could see the Weapon 86 written under the shoes. 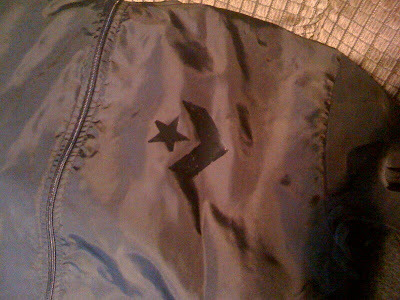 The shirt is dark ash, while the wind breaker is straight black. Big thanks to Paul and the rest of the amazing staff over at Converse for the hook up and the continued support of The Converse Blog. I got word from Charles Charles MaGalls that he's good for an interview with TheConverseBlog.com. I am working on my questions right now so if there is anything you want to ask him shoot me an email at ConverseNCAA@hotmail.com. Thanks for checking out the site, enjoy the rest of you Wednesday! Love your blog! Came across your blog while searching for some shoes. 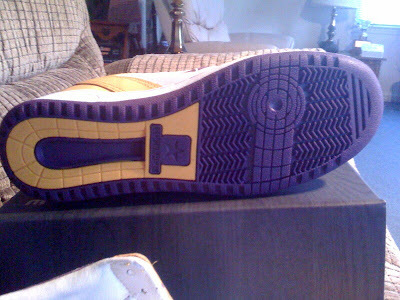 I'm having difficulty tracking down the model of this pair of shoe and I'm wondering if you can help me. 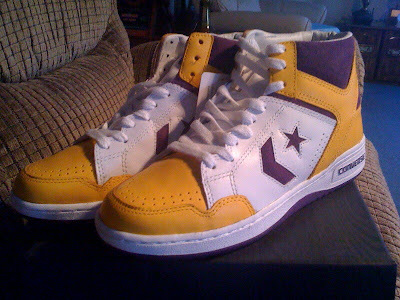 Its a leather, all white, One Star high top pair with the red star emblem on either side. I have a picture but I'm not sure how I can upload it here. If you can help it will be great! 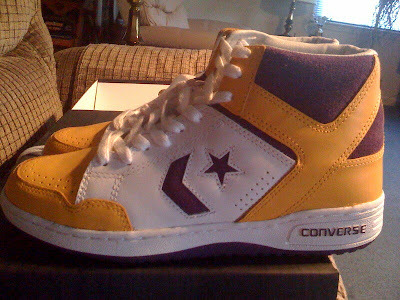 'S Friday Flashback: Converse ECO shoes.